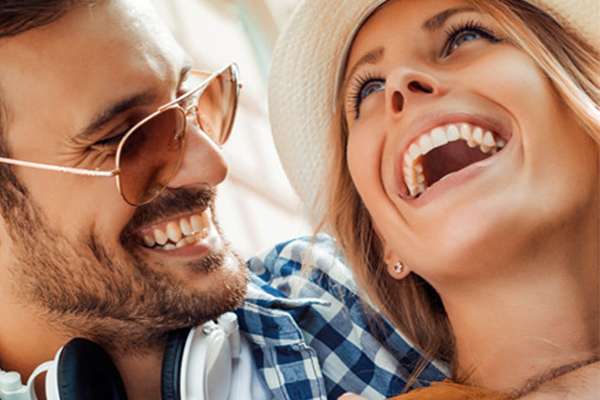 Though over-the-counter whitening methods are available for patients in the Worcester area who want to brighten and rejuvenate their smile, many of these solutions provide minimal results. Whitening with trays, strips, and toothpastes may work for some, but will not provide anything dramatic in the long-run. Instead, Dr. Stanley Levenson of Levenson Smile may suggest patients consider professional teeth whitening from a cosmetic dentist instead. Professional teeth whitening products are proven to work. These products are stronger concentration of the ingredients necessary to dissolve and break up stains and discoloration on tooth enamel. As with anything professional-grade, the ingredients used to lighten teeth enamel are stronger and therefore much more effective at providing desired results. Dr. Stanley Levenson of Levenson Smile in Worcester offers three types of whitening to brighten the smile. In-office bleaching is done during one visit and can provide up to eight shades of lightening of the natural tooth enamel. Dr. Stanley Levenson can complete this treatment for patients who want to quickly and easily rejuvenate their smile in just one trip to the dental chair. This particular method of whitening uses whitening gel that is light-activated to bring forth a more beautiful smile! Patients can come to the practice of Levenson Smile and have a series of impressions made to create custom whitening trays for use at home by patients. These custom whitening trays are sent with patients along with whitening gel to be used specifically within these trays for gradual whitening results. The KoR Deep Bleaching system is a special combination of both in-office power whitening and take-home whitening. Both are used together for optimum effects in a shorter period of time. Dr. Stanley Levenson prefers this over most other whitening solutions when patients are considered appropriate candidates. At Levenson Smile, we believe in helping patients achieve an unforgettable look with a beautiful, healthy smile for life. We encourage new and existing patients in the area to contact our practice and book a consultation appointment to learn more about whitening methods and which treatment options are best for one’s specific needs, budgets, and desires.